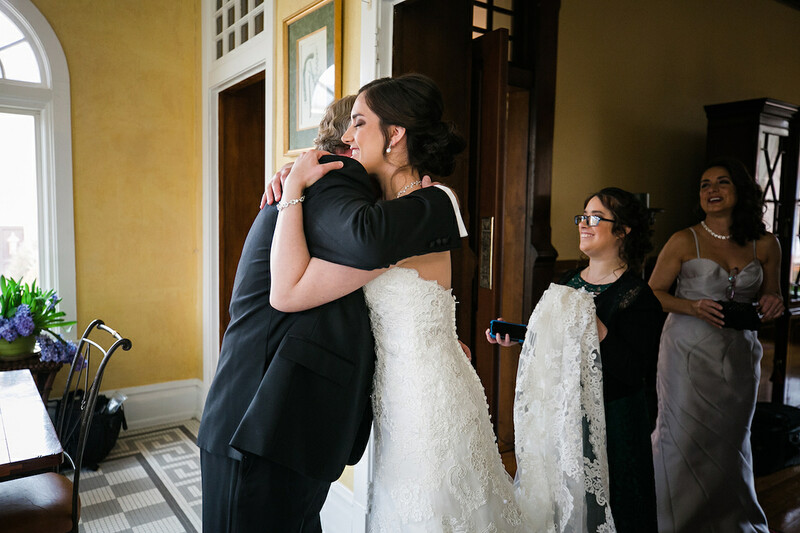 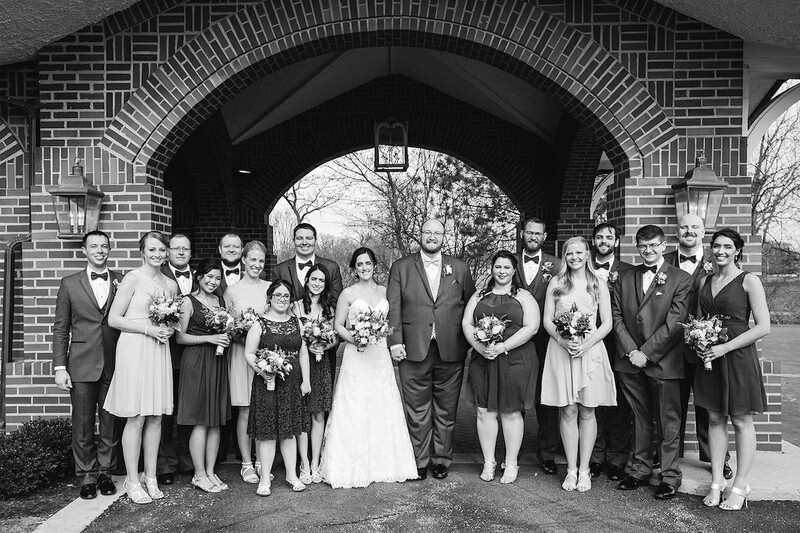 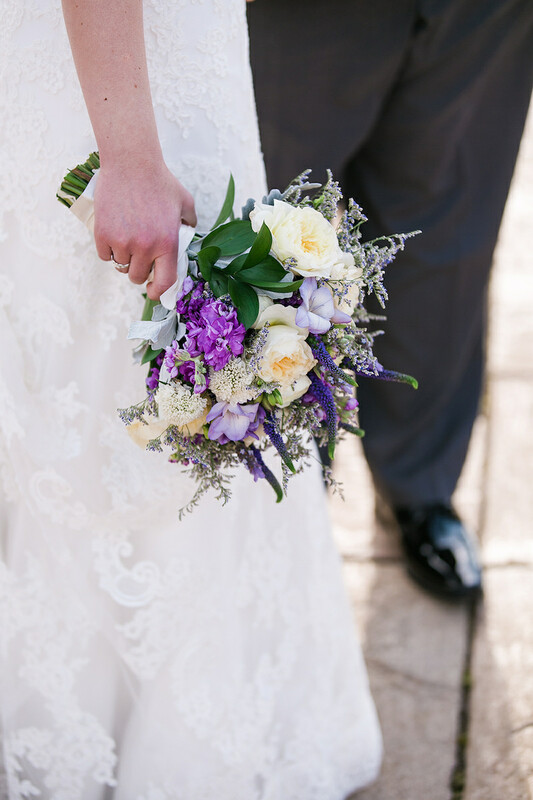 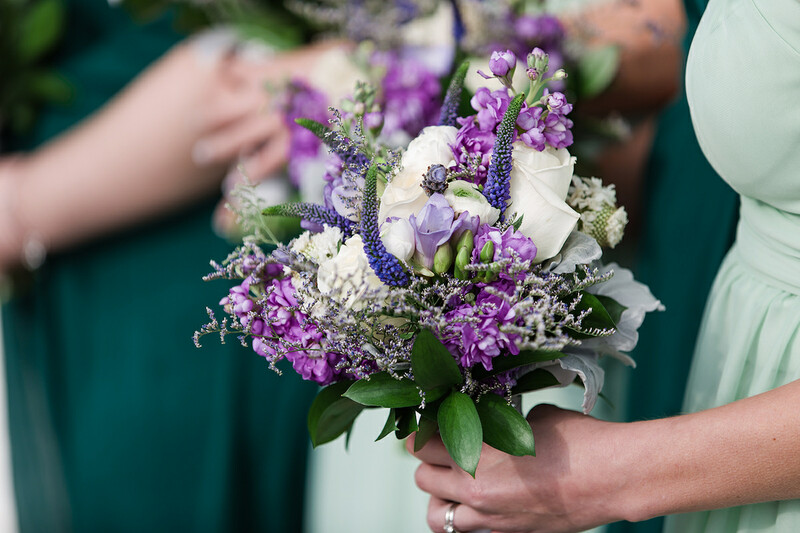 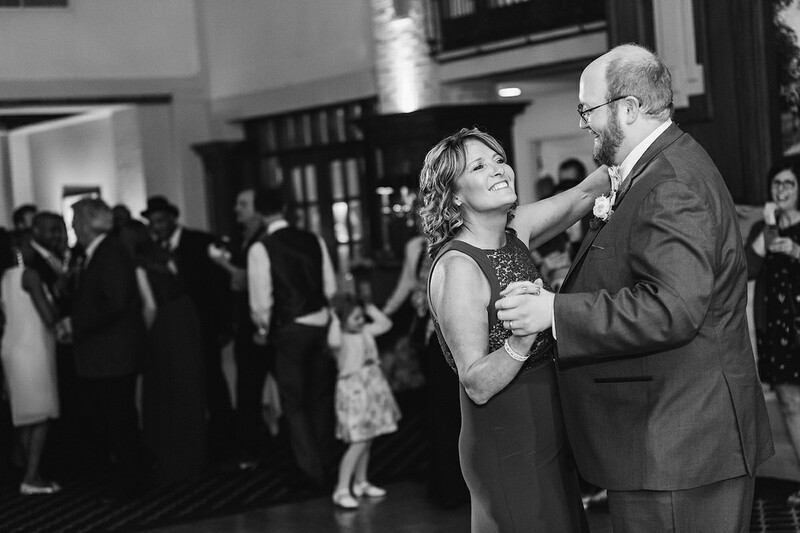 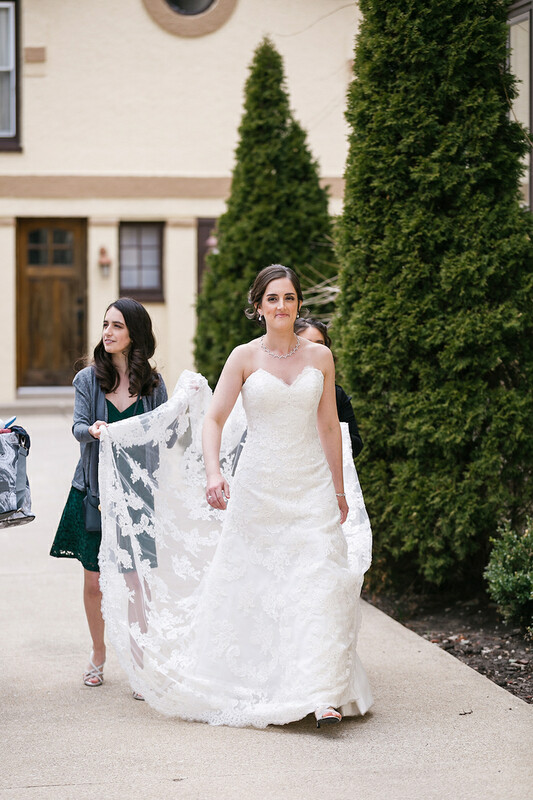 What made Andie and Colten’s wedding day so special, wasn’t just the beautiful spring day or the charming and historical backdrops for photos. 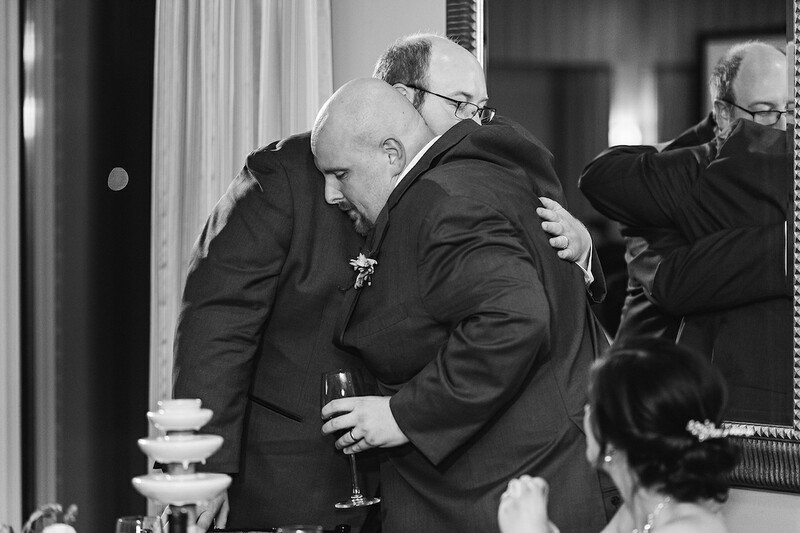 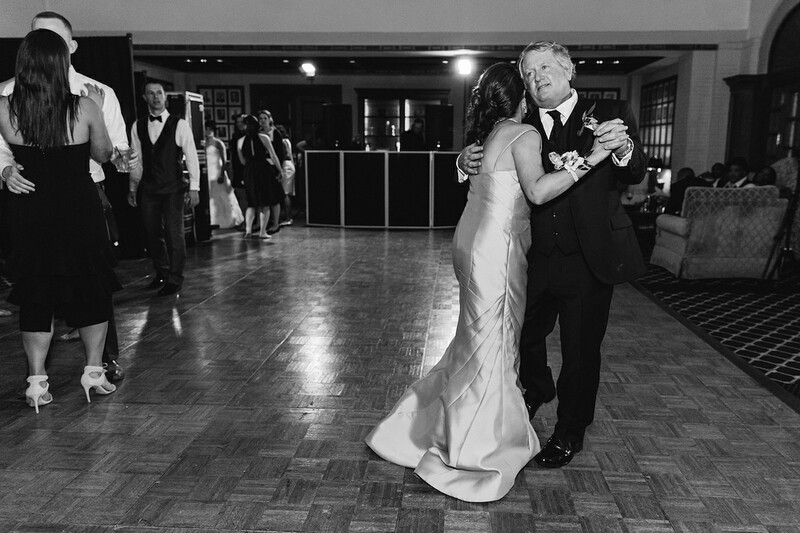 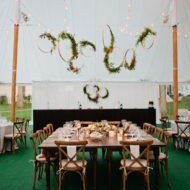 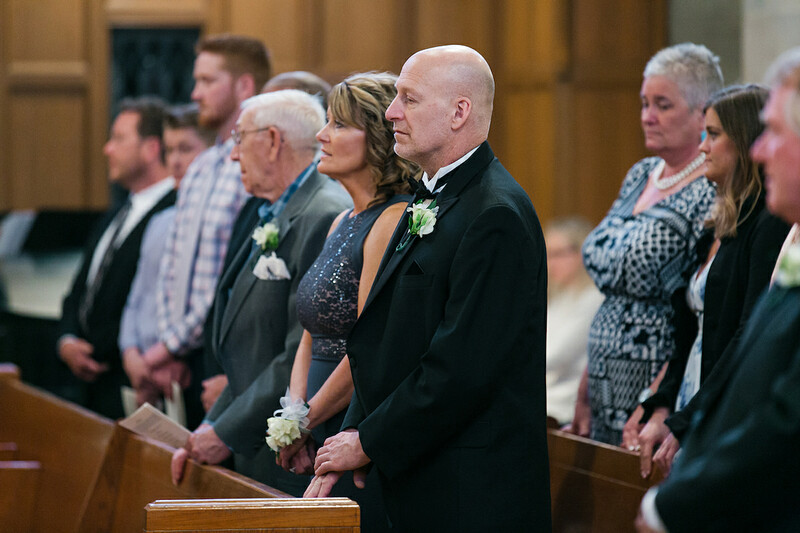 It was watching a couple marry who were both truly loved and admired by each and every one of their family and friends. 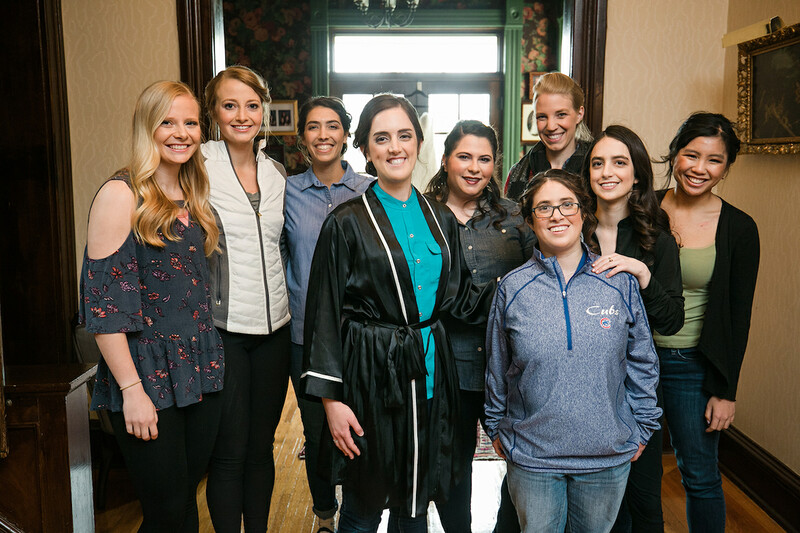 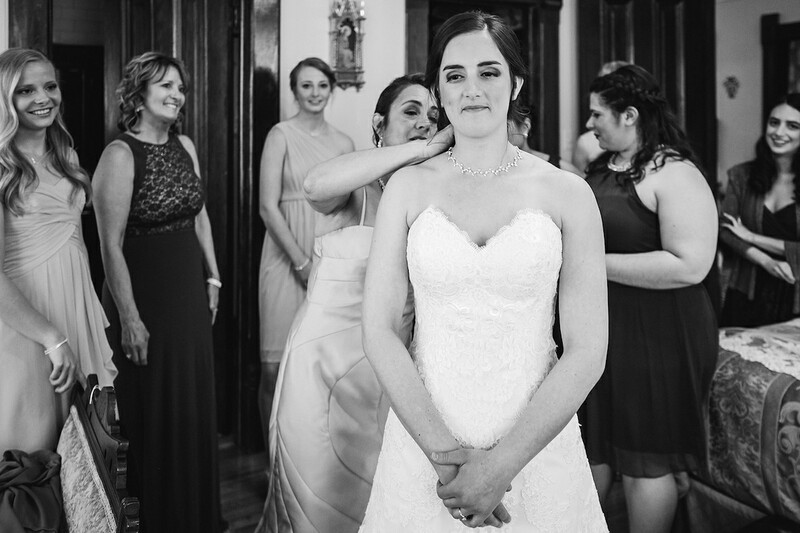 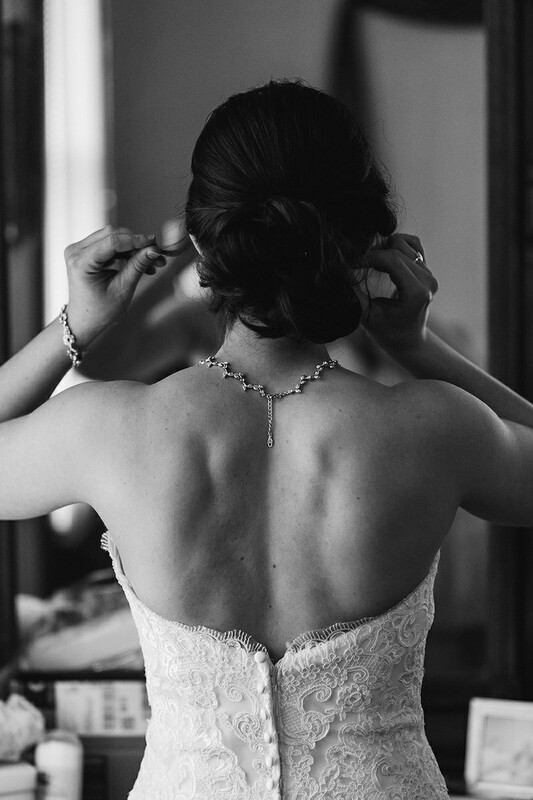 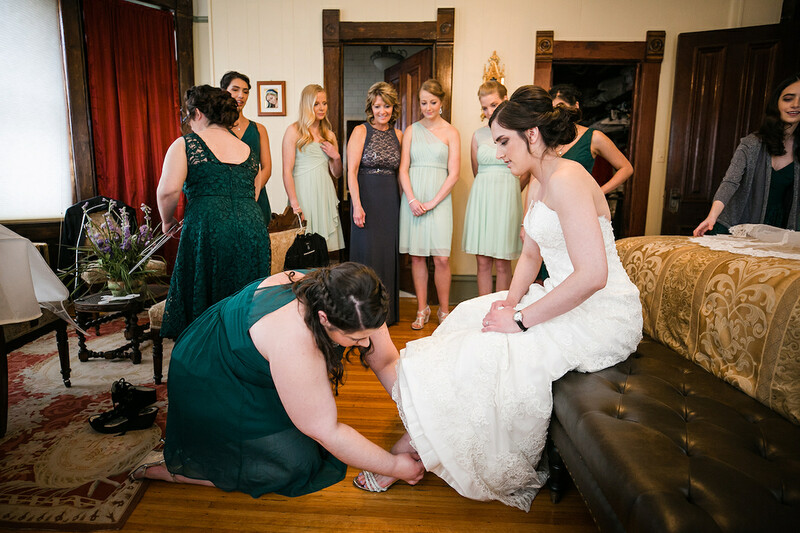 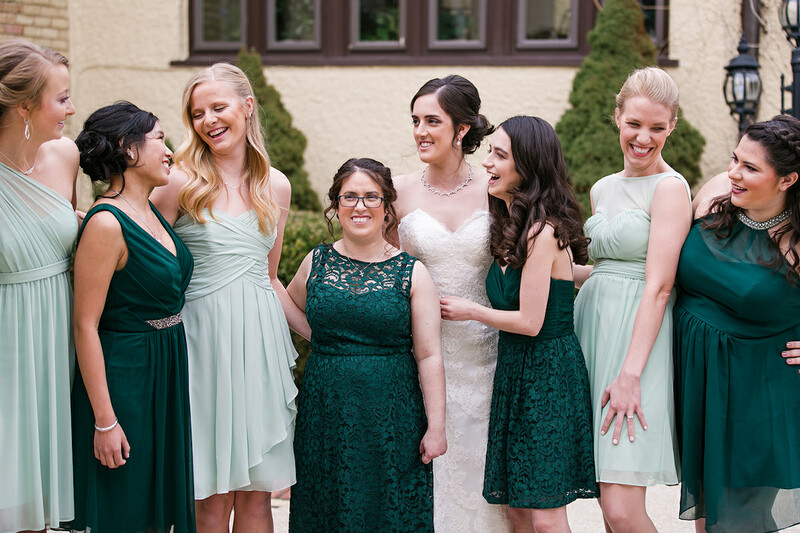 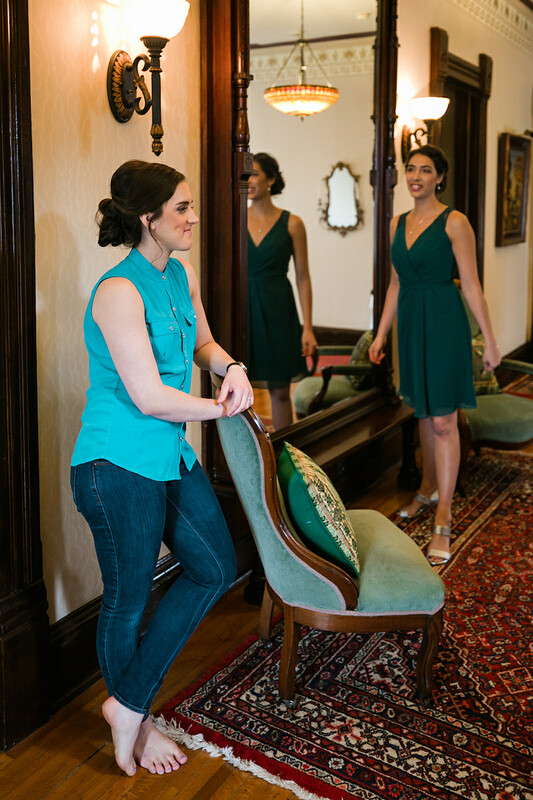 Andie and her bridesmaids started the day together having hair and makeup done at James Anthony Salon and later returning to the bride’s family home to finish getting ready. 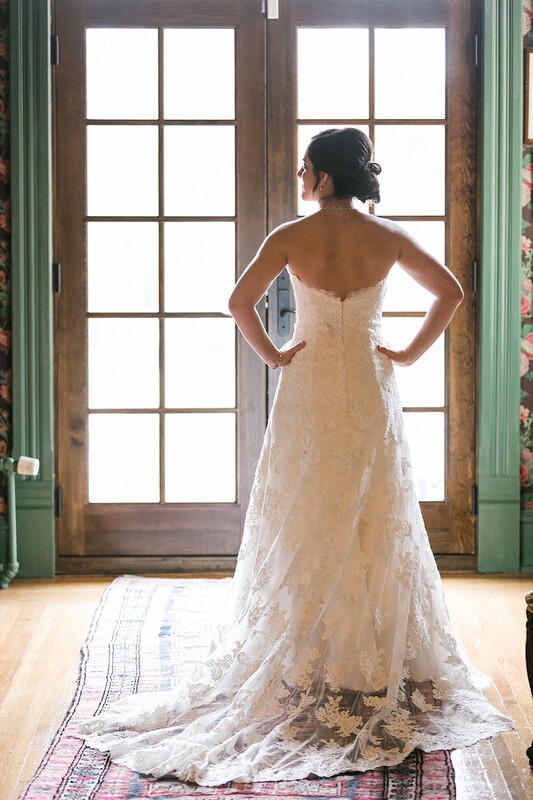 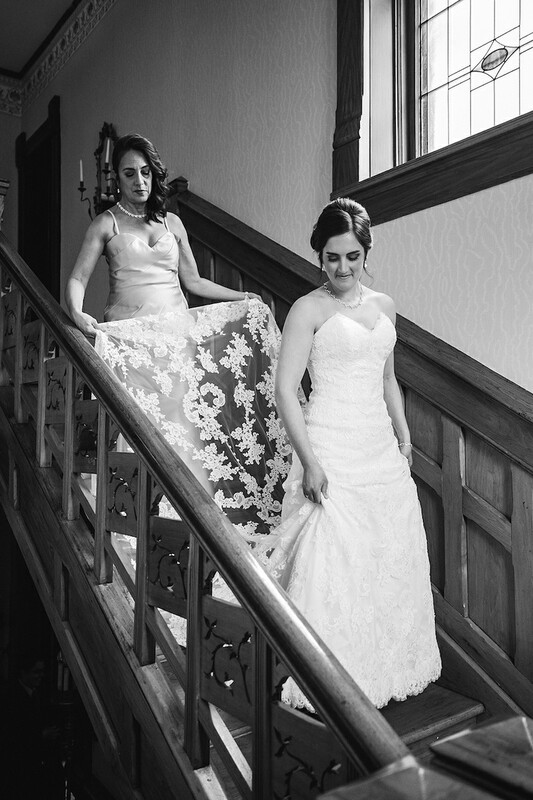 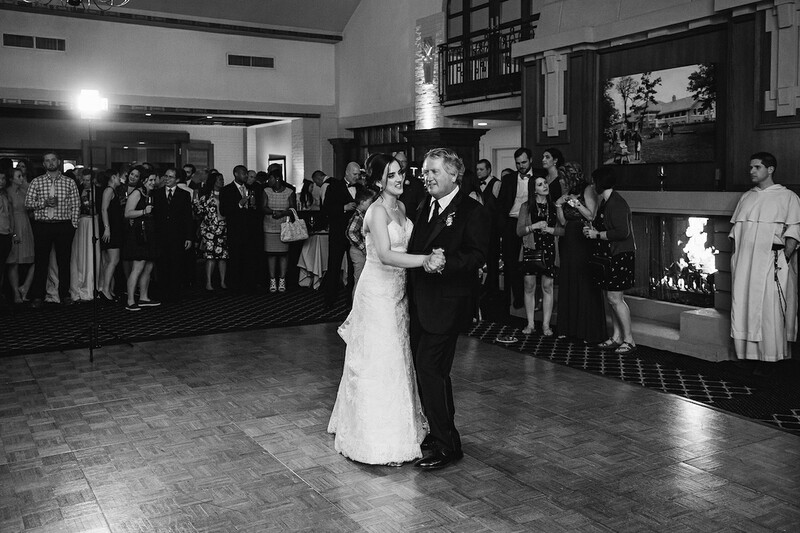 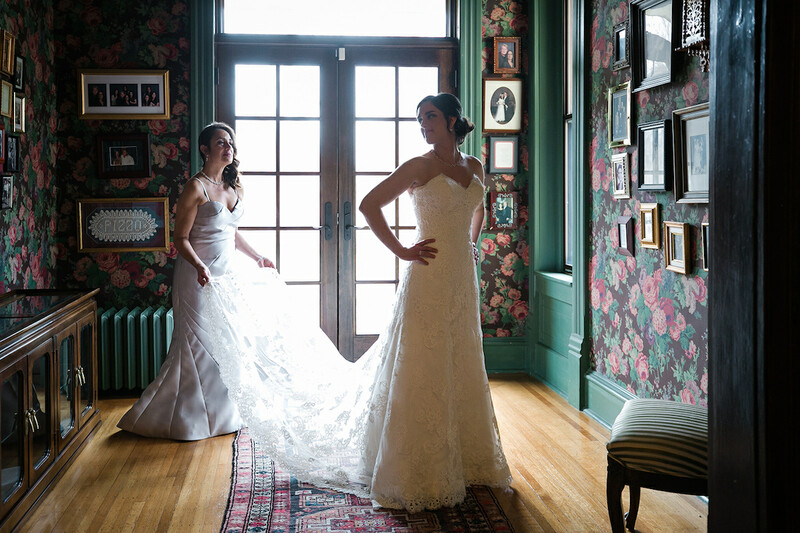 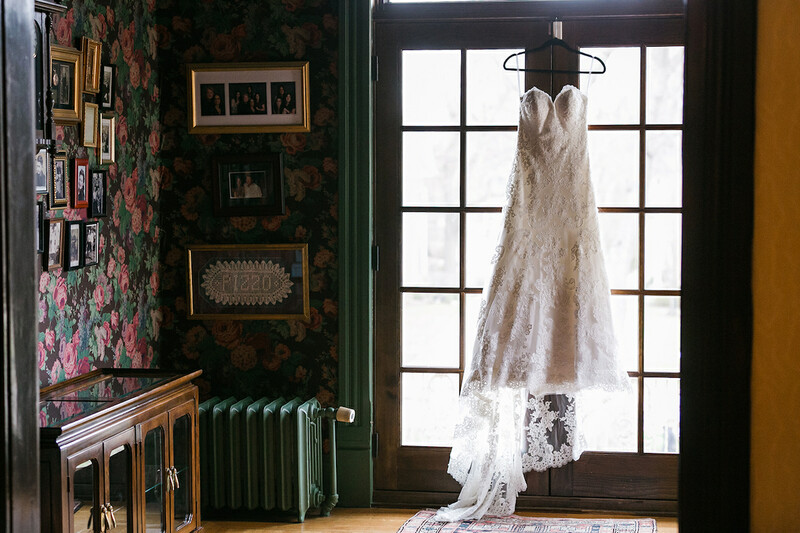 Being a historical landmark, the Pizzo’s home provided gorgeous details and endless rooms to explore. 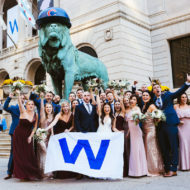 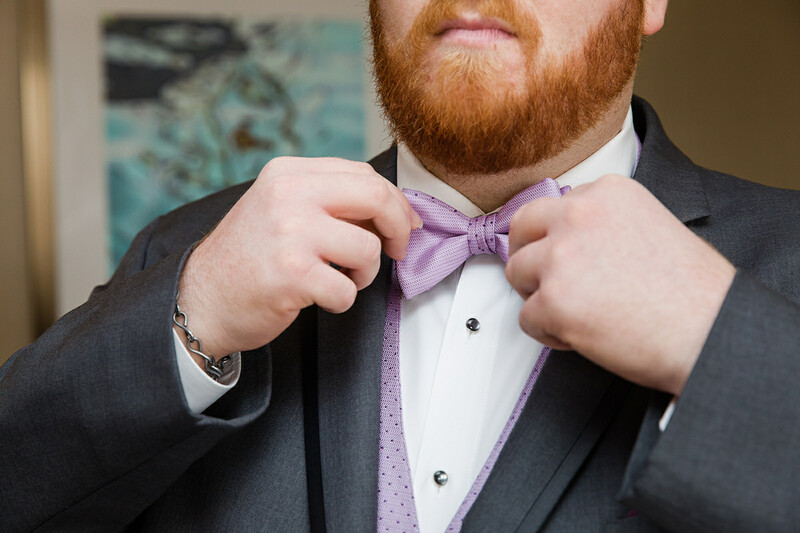 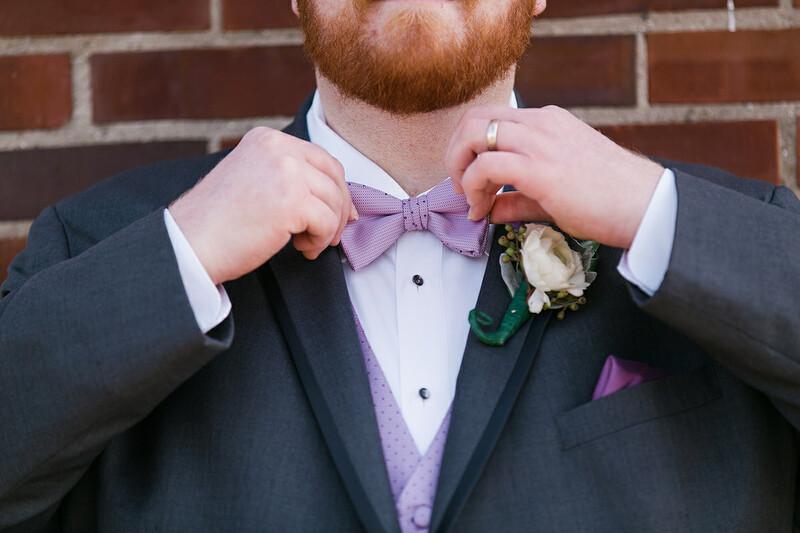 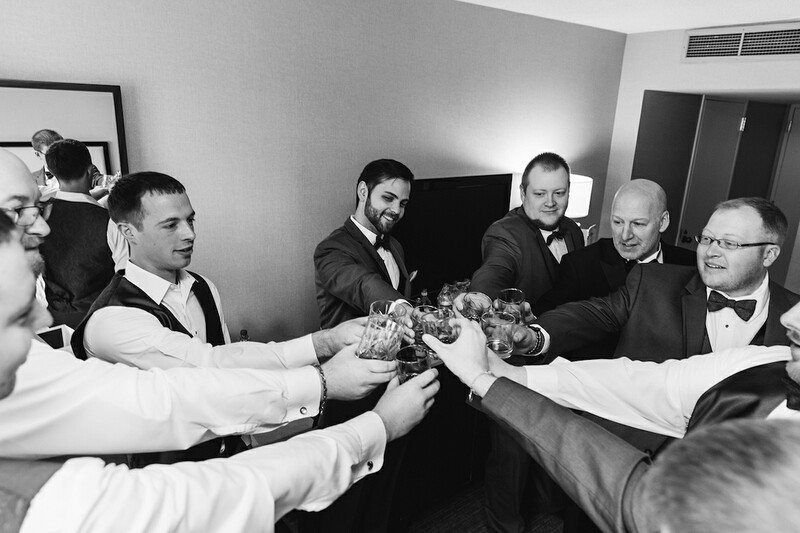 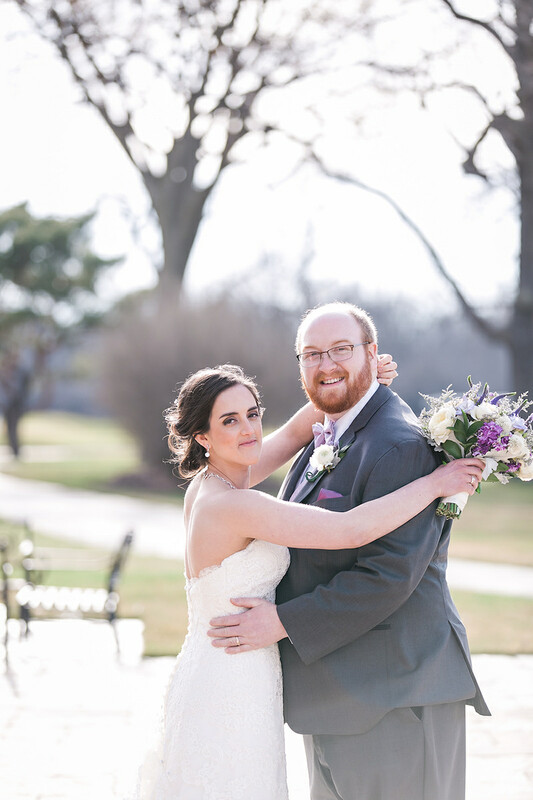 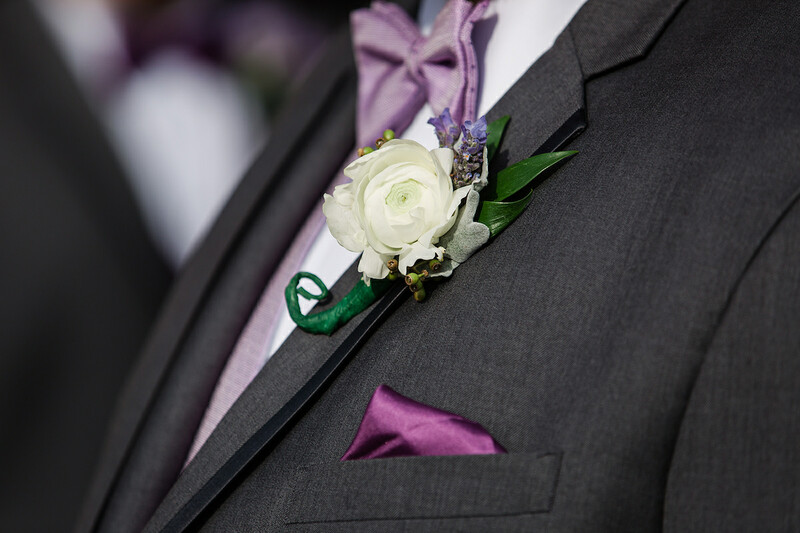 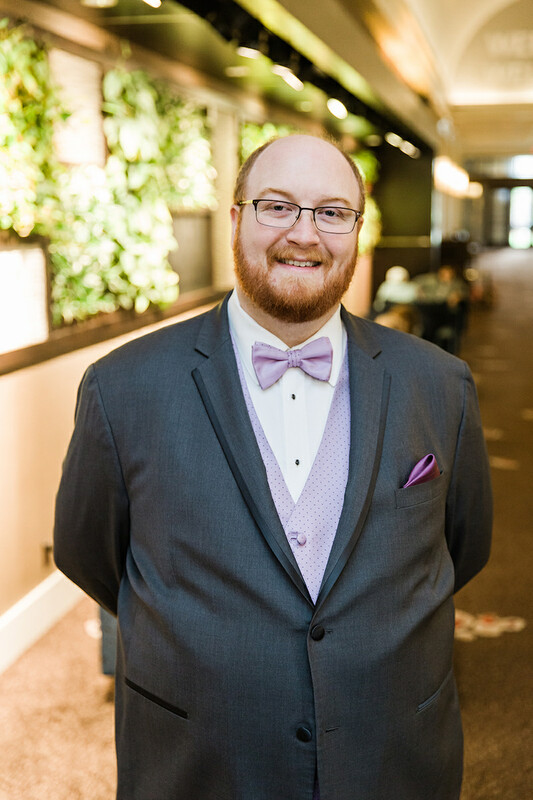 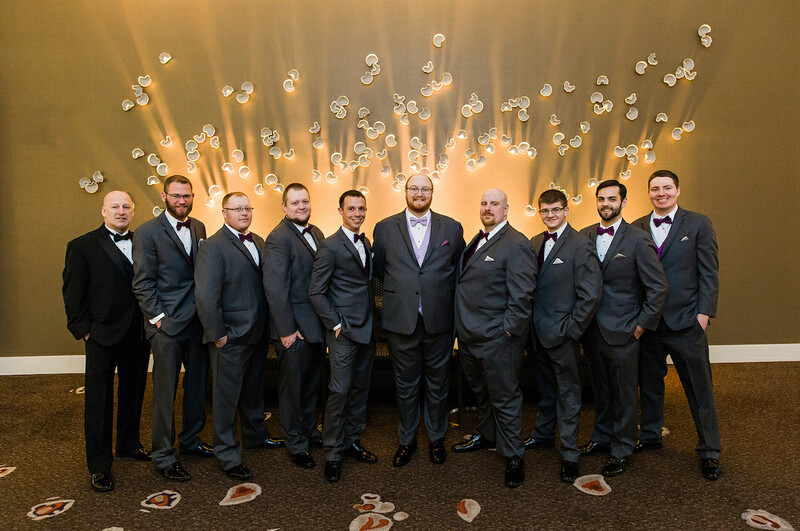 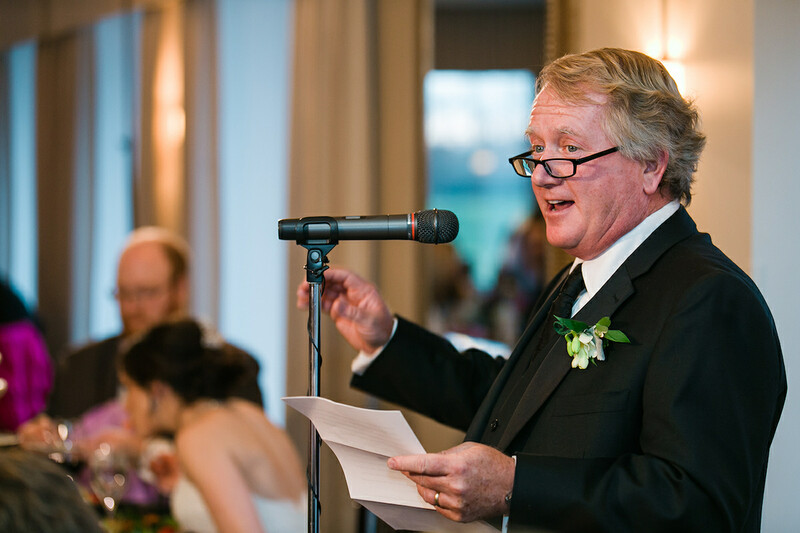 While Colten and his groomsmen enjoyed their morning at the Westin O’Hare, Peter Wynn Thompson and Windy City Productions arrived to capture the day at the Pizzo home. 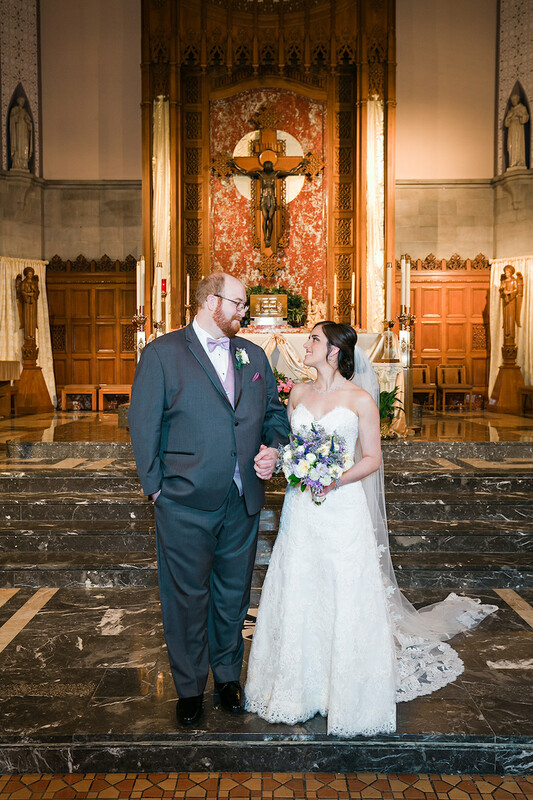 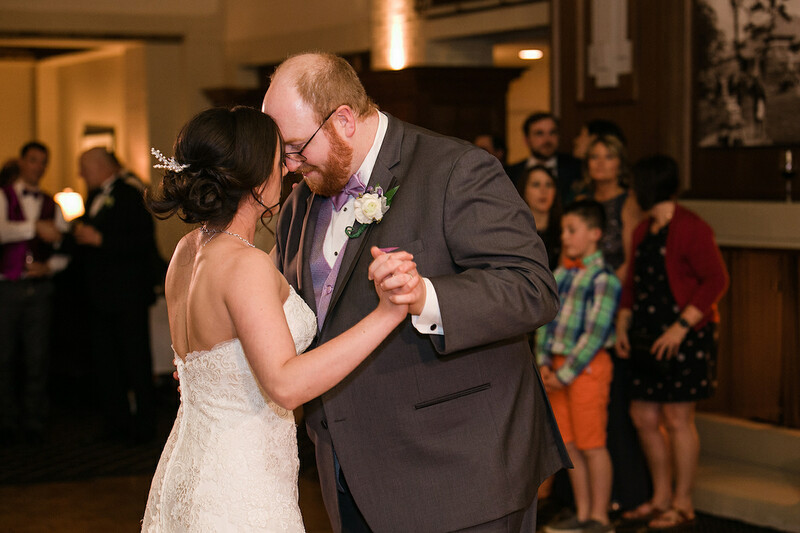 When the time came to depart for the ceremony, the wedding party boarded their Windy City Limo bus for St. Vincent Ferrer Catholic Church. 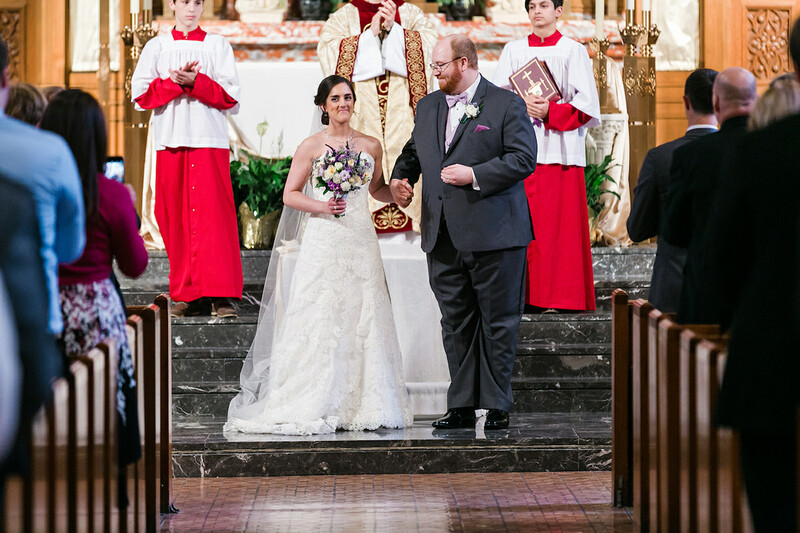 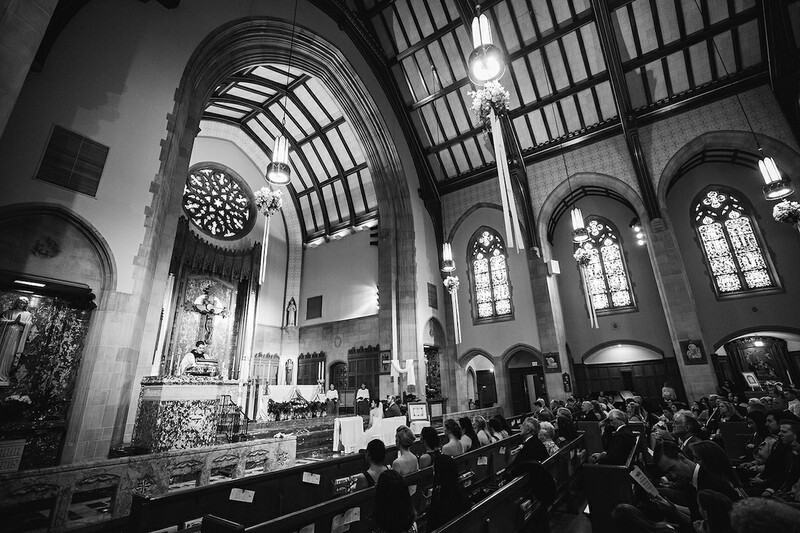 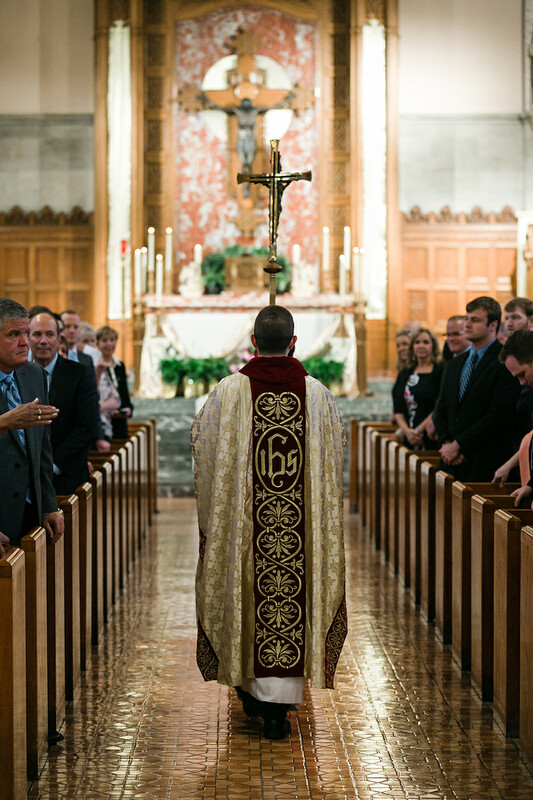 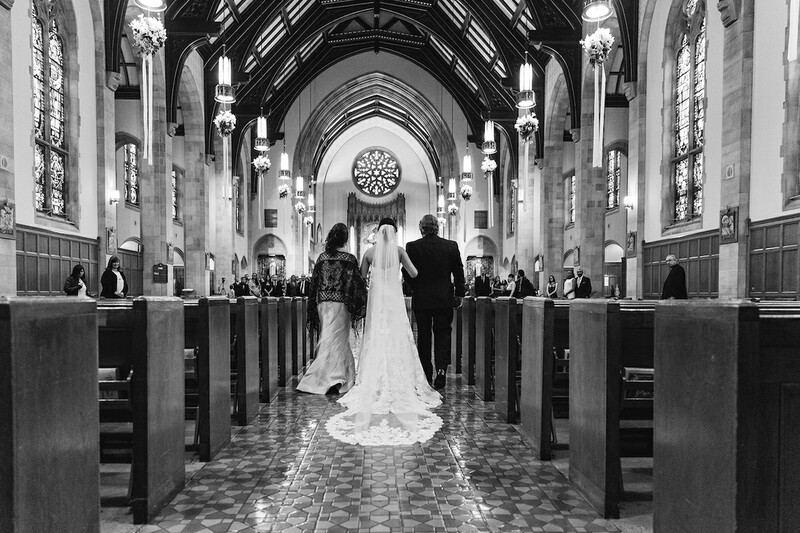 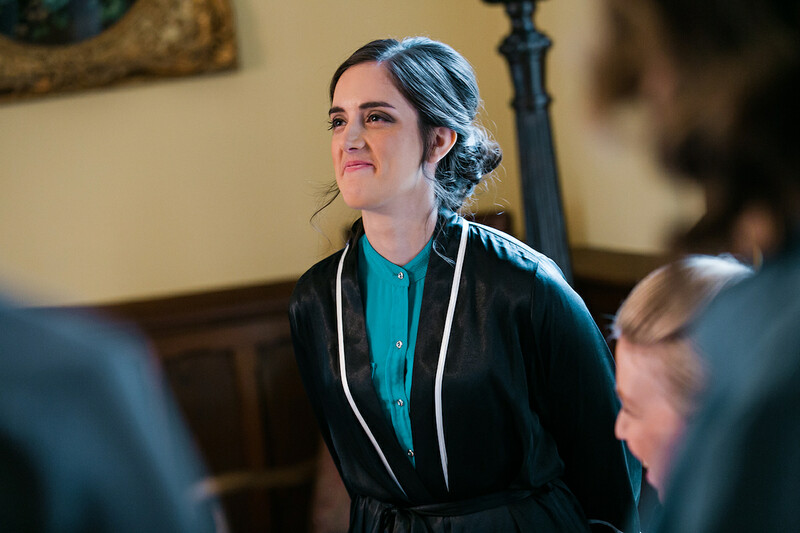 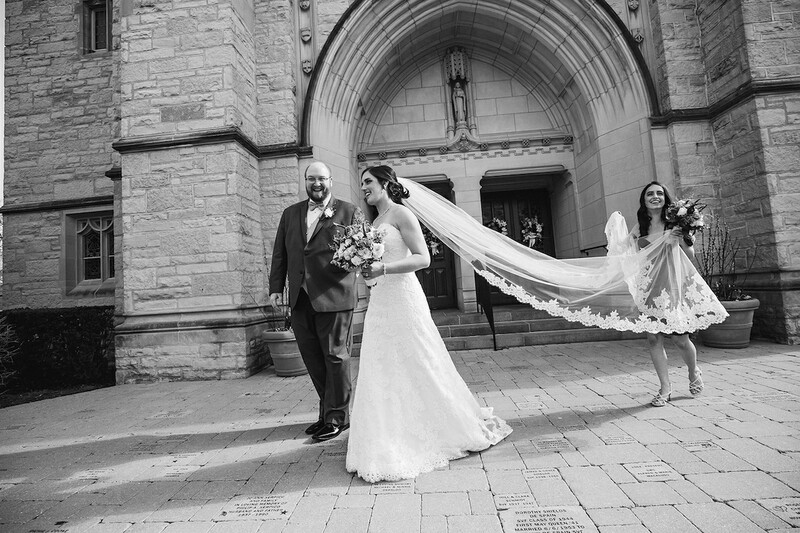 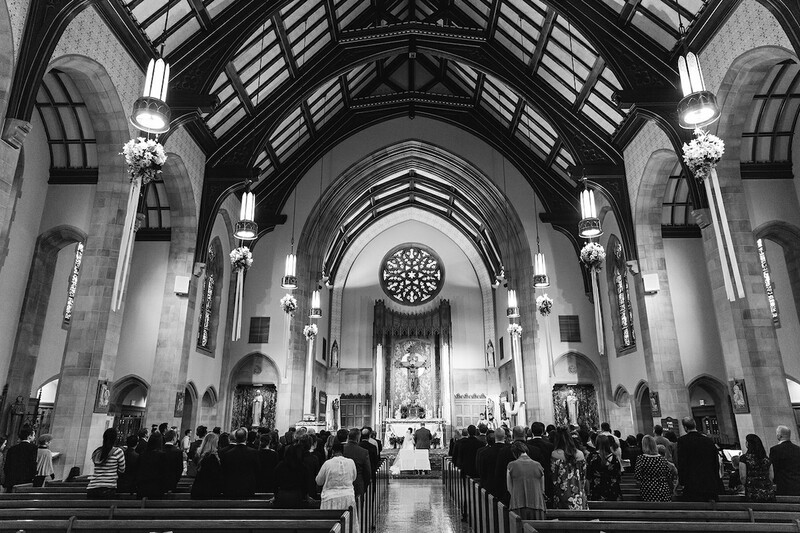 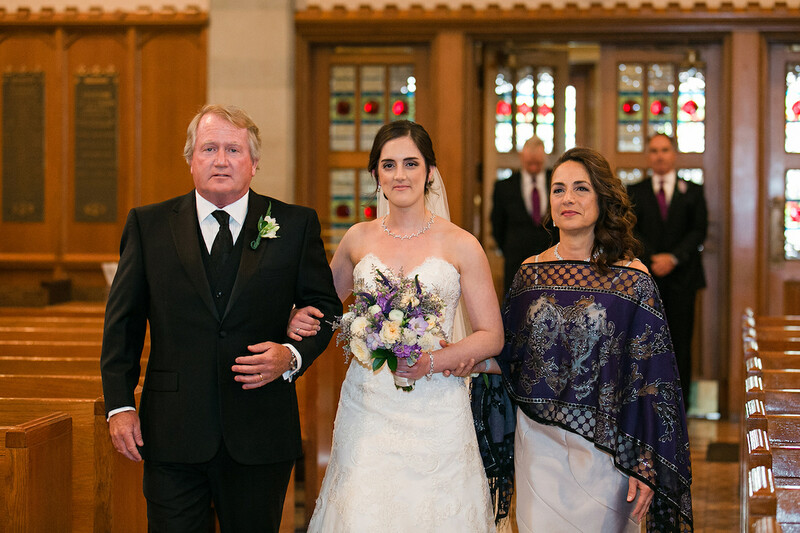 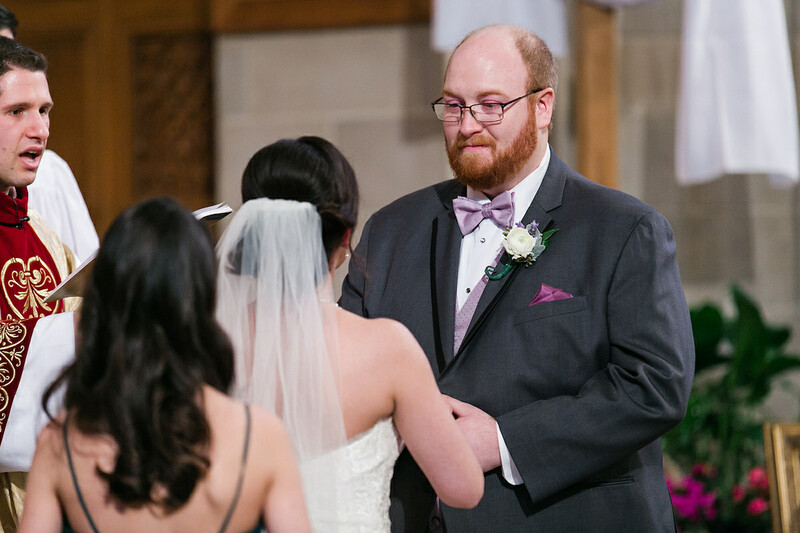 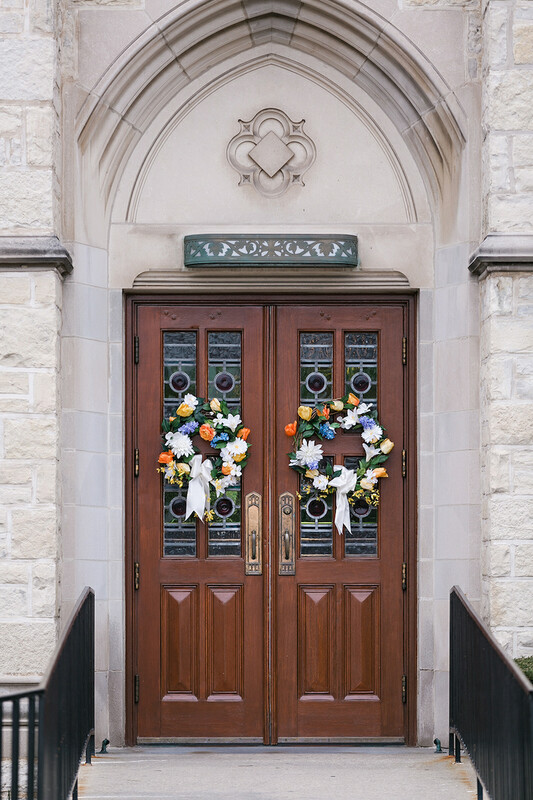 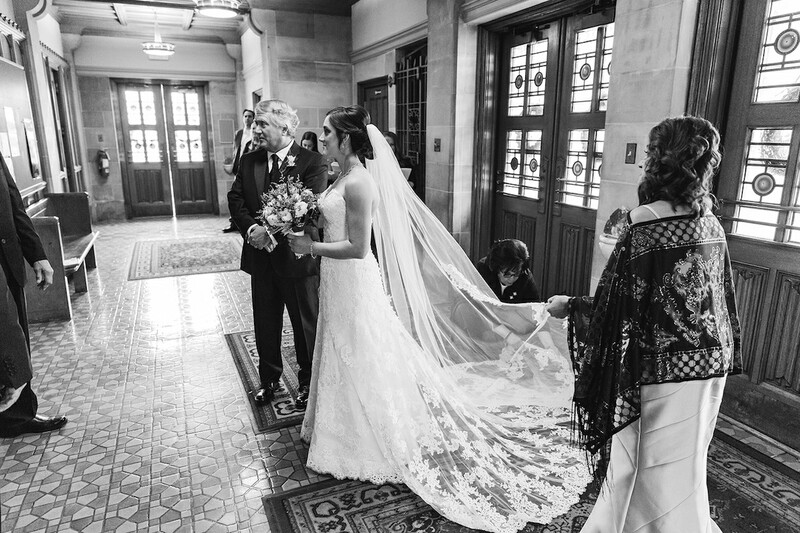 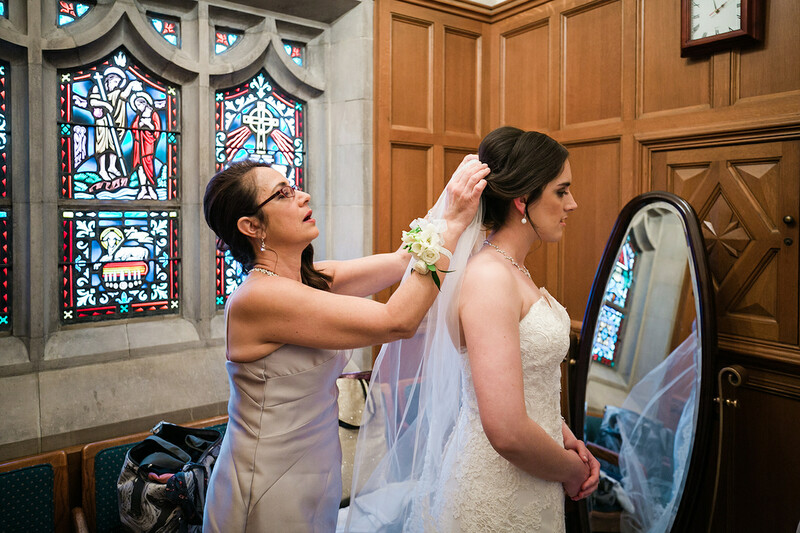 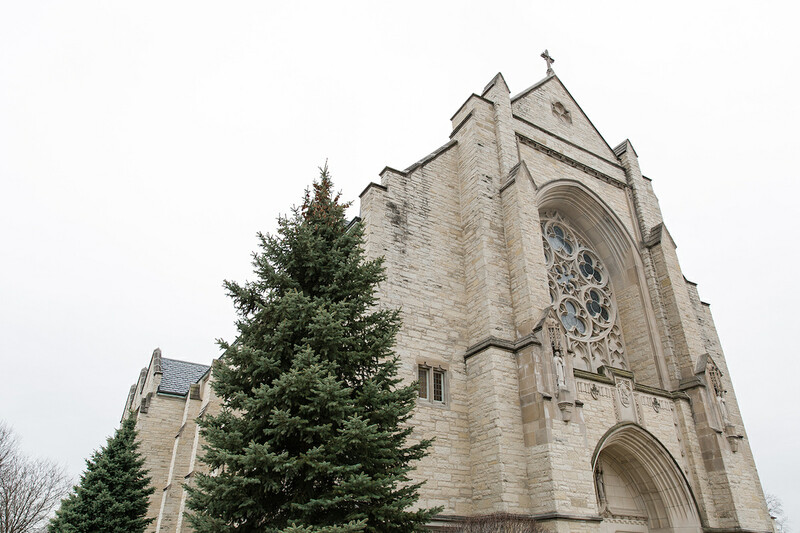 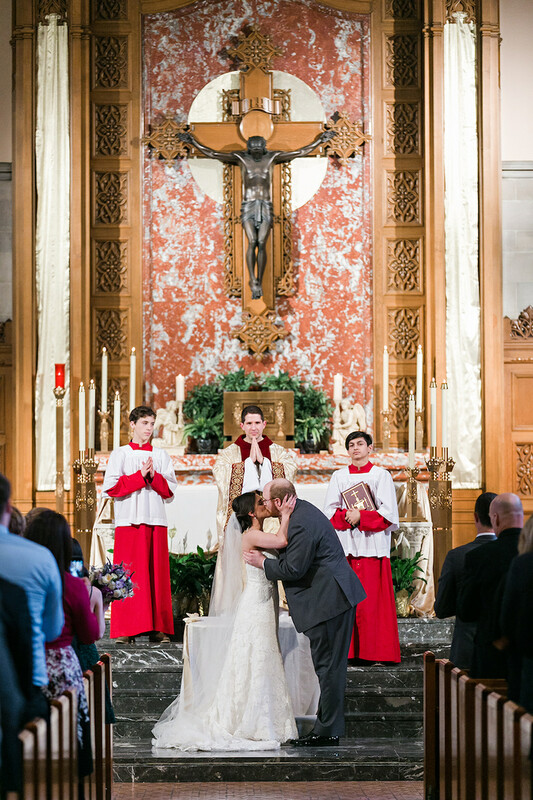 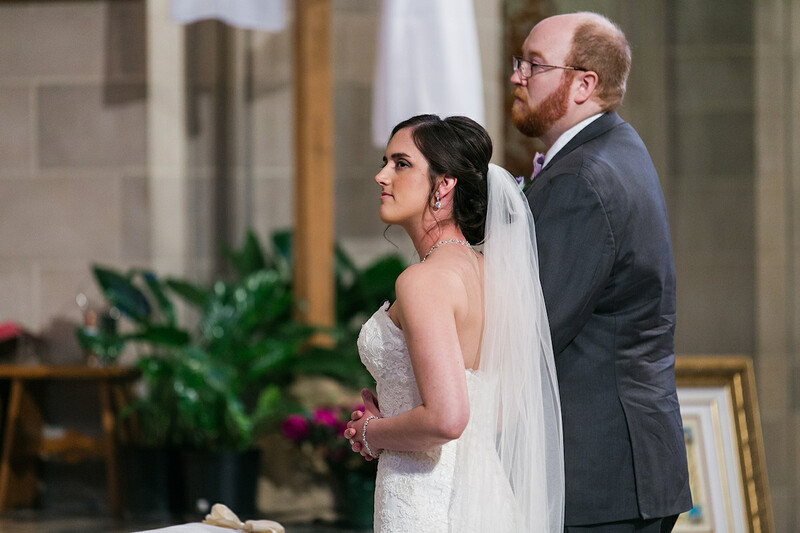 Family and friends filed into the beautifully ornate church for an intimate Mass, watching Andie and Colten exchange vows and celebrate their marriage. 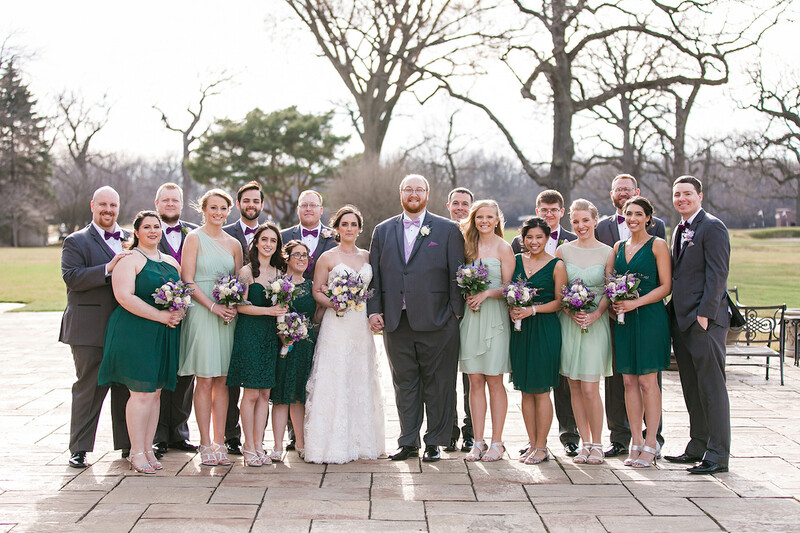 After the ceremony, the wedding party departed for photos on the impressive grounds of Oak Park Country Club before greeting their guests for cocktail hour in the club’s Great Room. 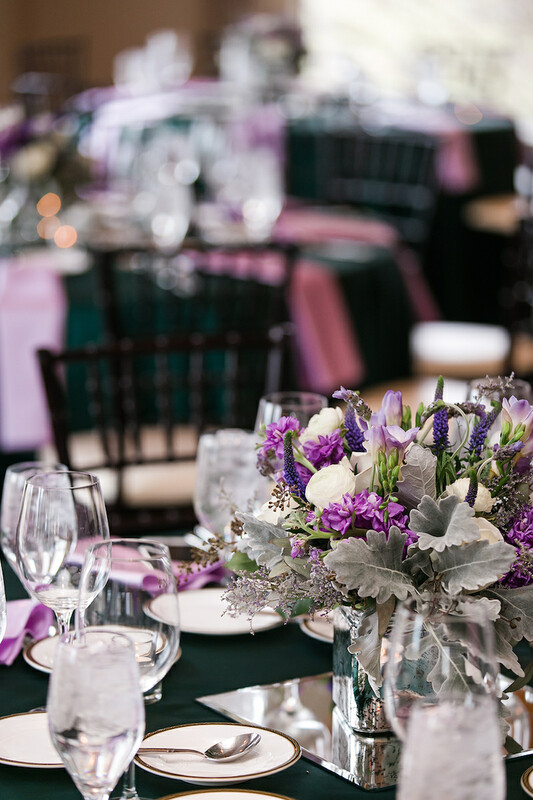 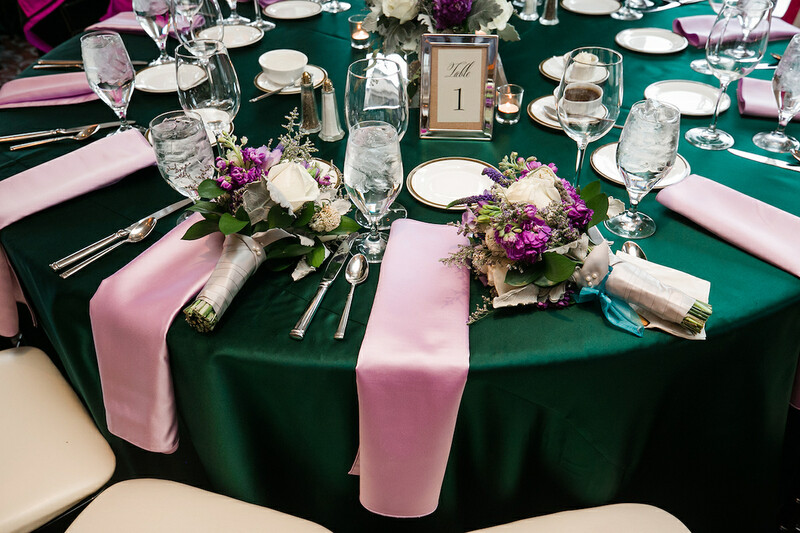 From there, guests moved into the Ballroom where they were met with colorful tablescapes and more floral from Westgate Flowers. 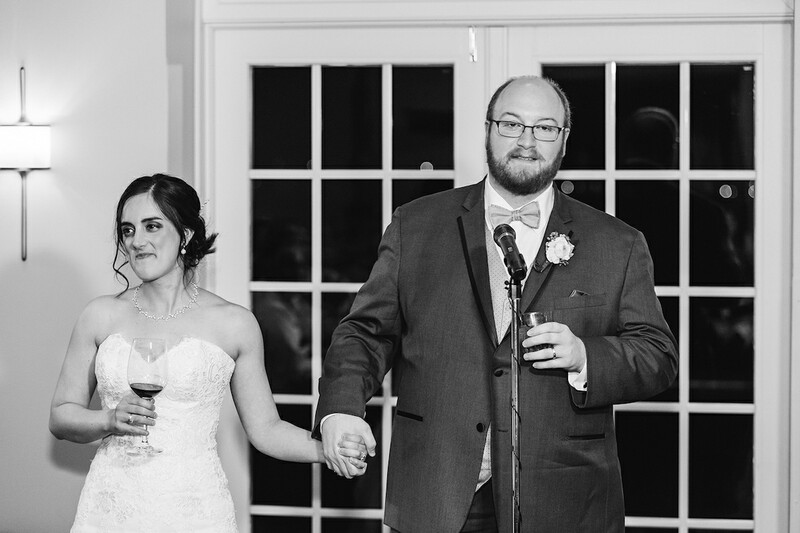 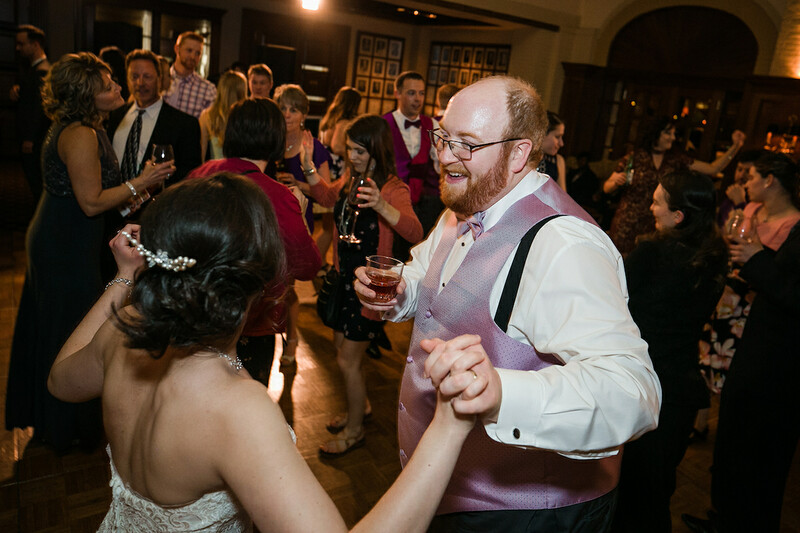 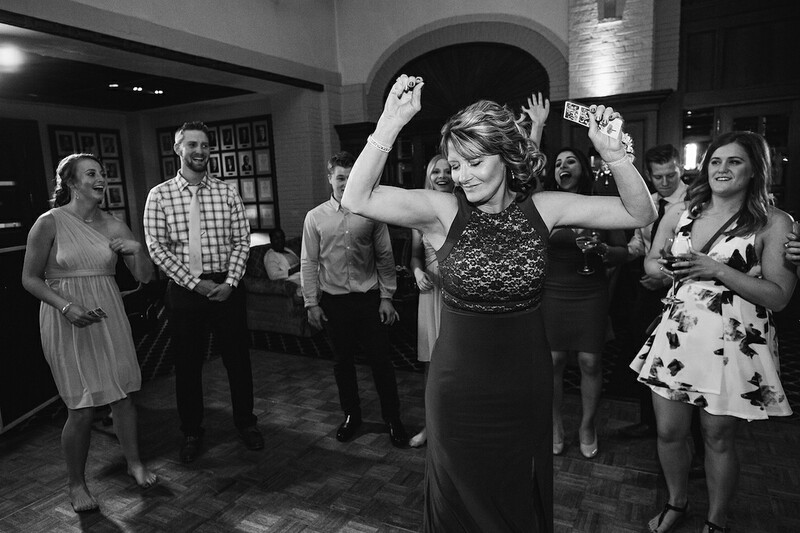 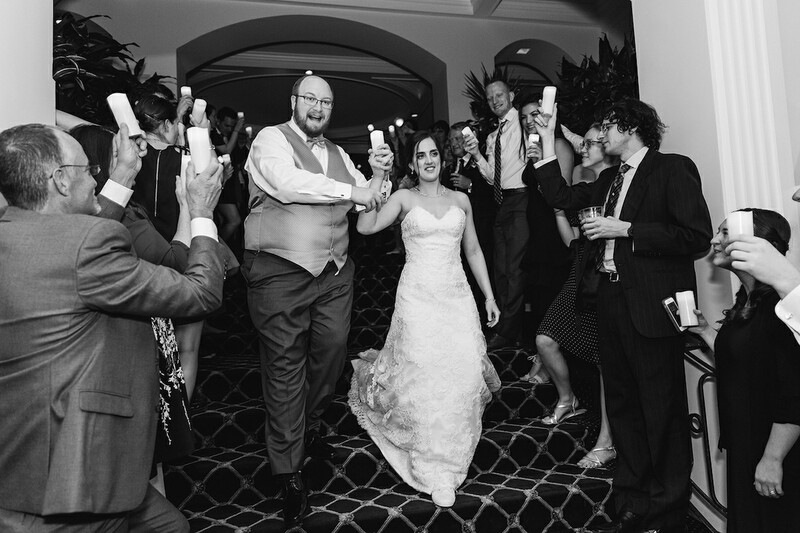 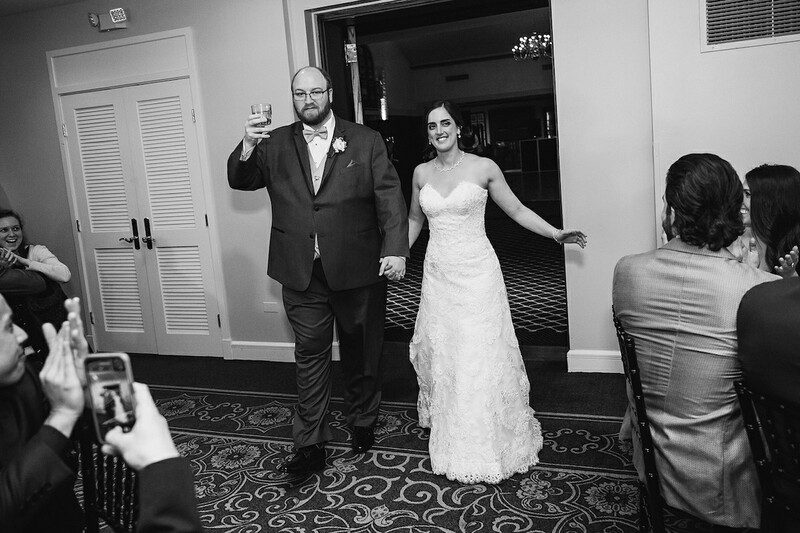 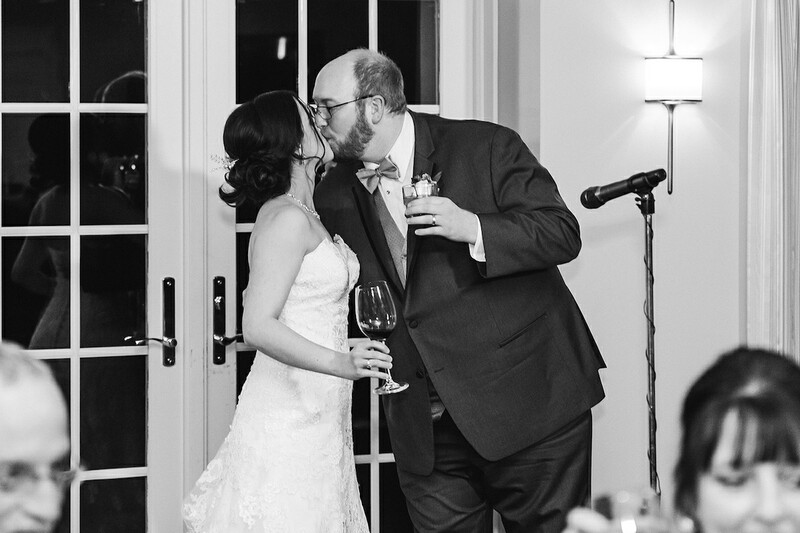 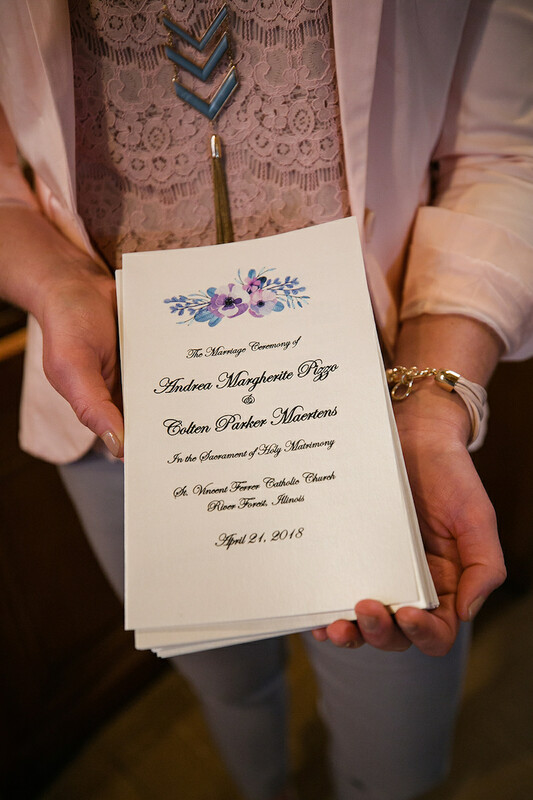 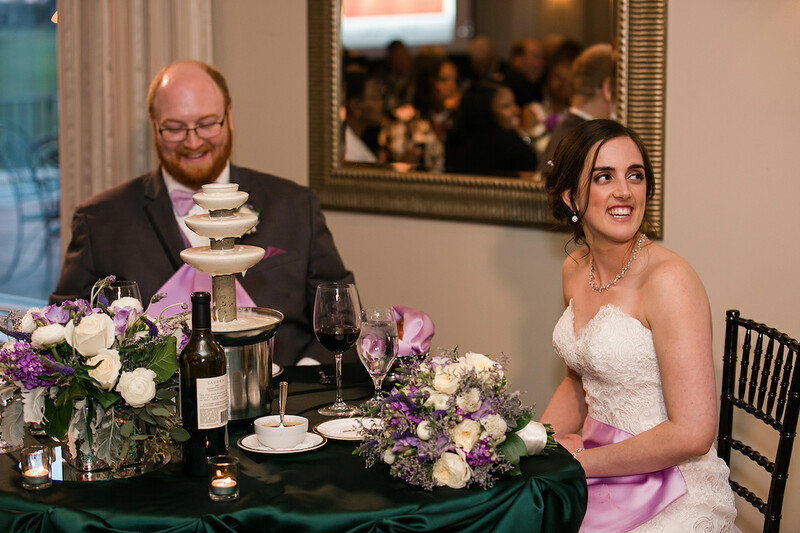 Andie and Colten’s families gave touching toasts, welcoming guests and sharing wonderful stories about the couple. 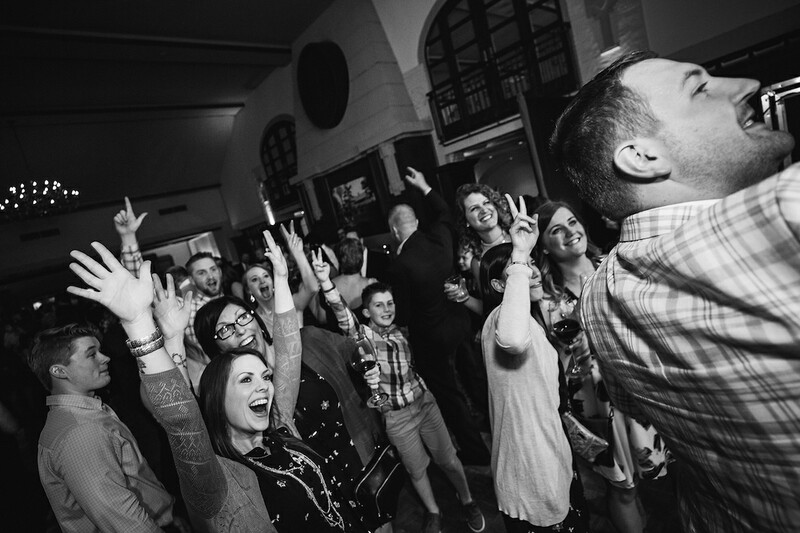 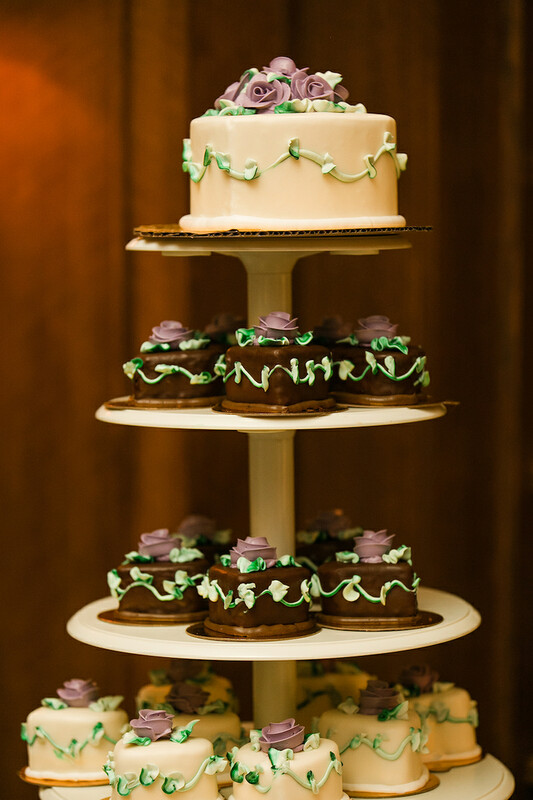 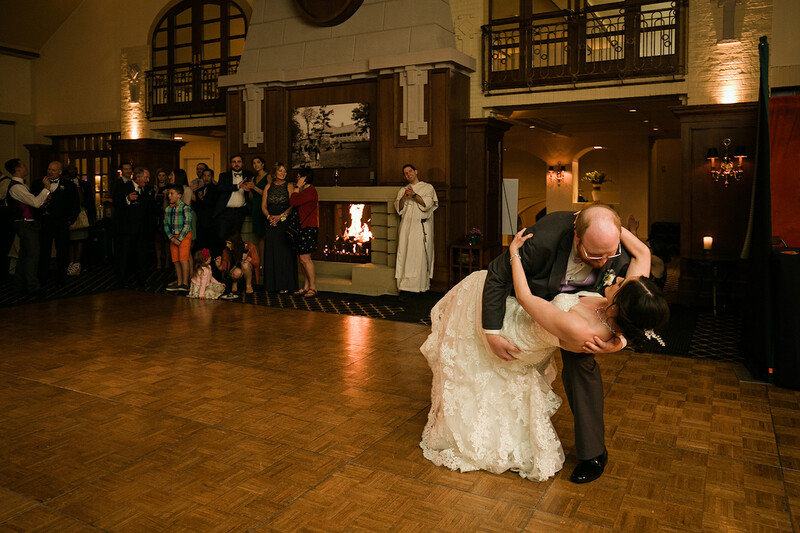 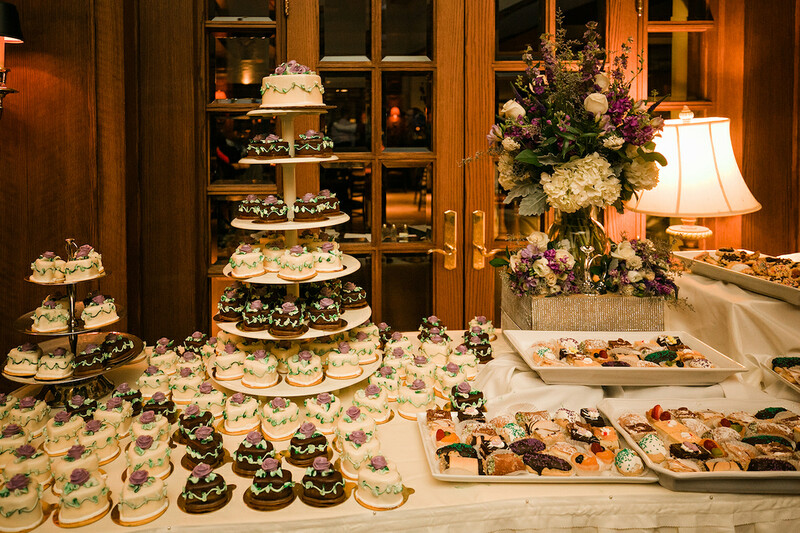 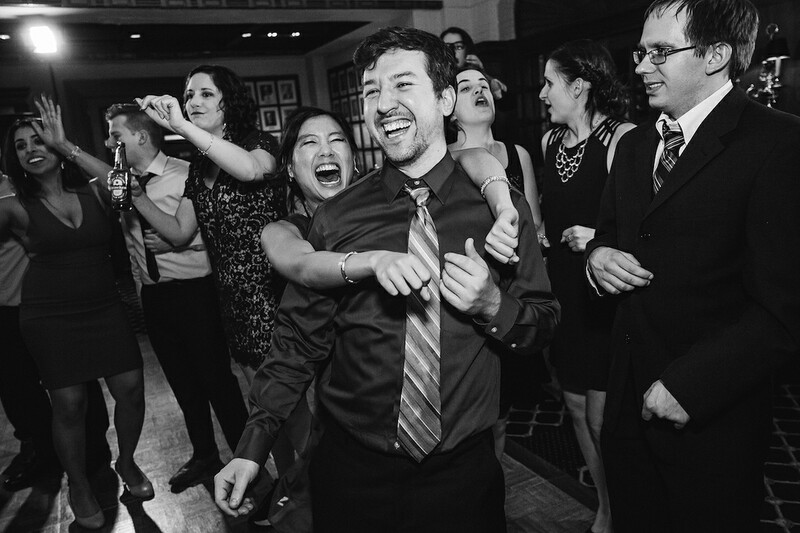 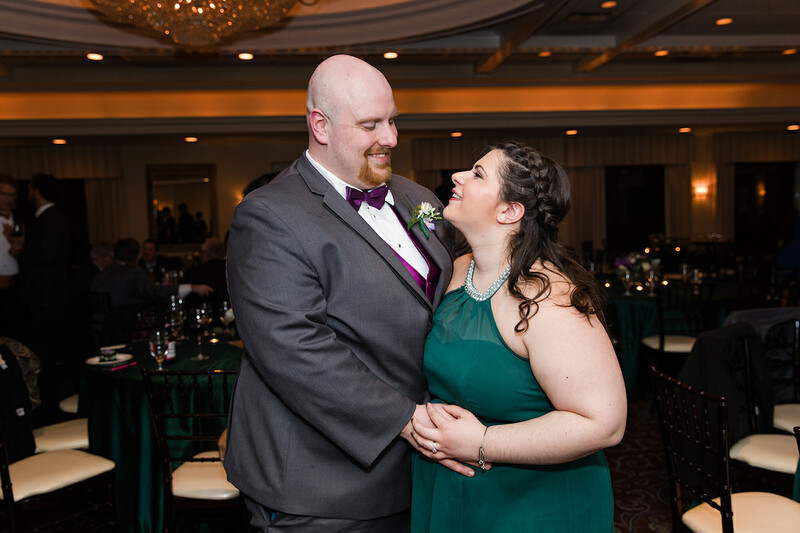 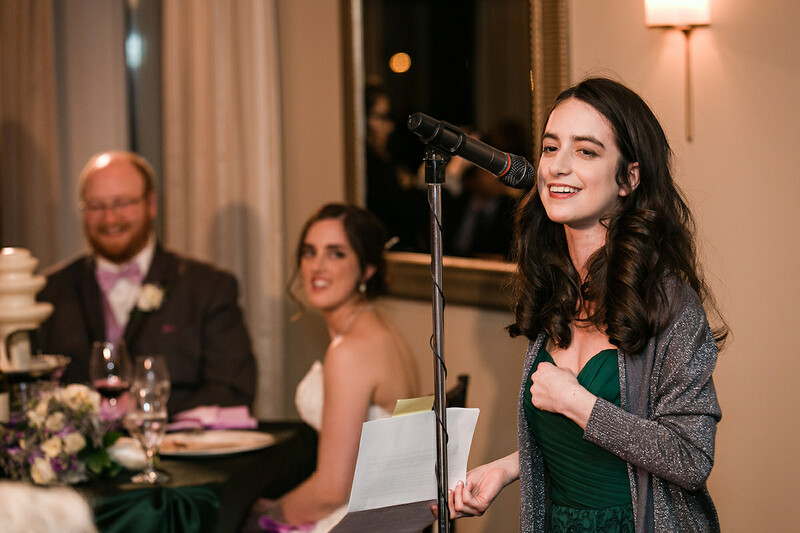 After dinner, guests were invited back into the Great Room for dancing with Green Line Talent, endless desserts from Reuters Bakery and the Sicilian Bakery, and entertaining photo opps in Jensen Entertainment’s photobooth before giving the couple a candlelit send off. 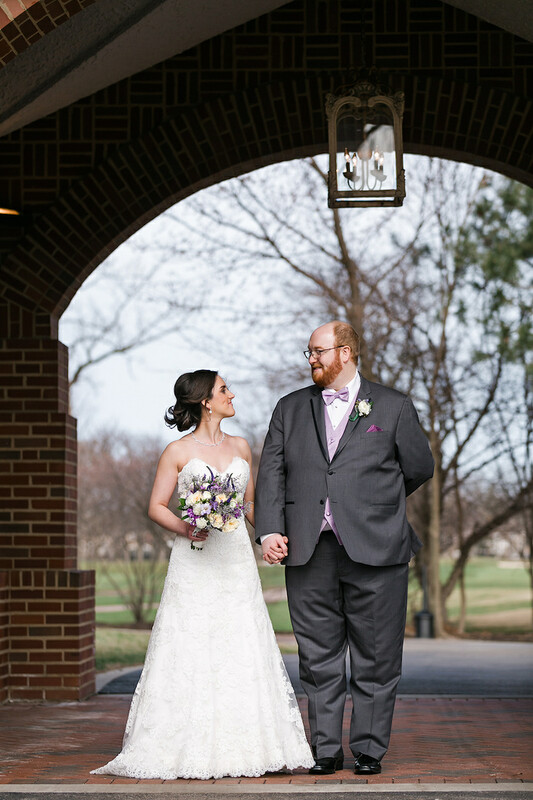 Andie and Colten, we felt truly lucky to be a part of your beautiful wedding day. 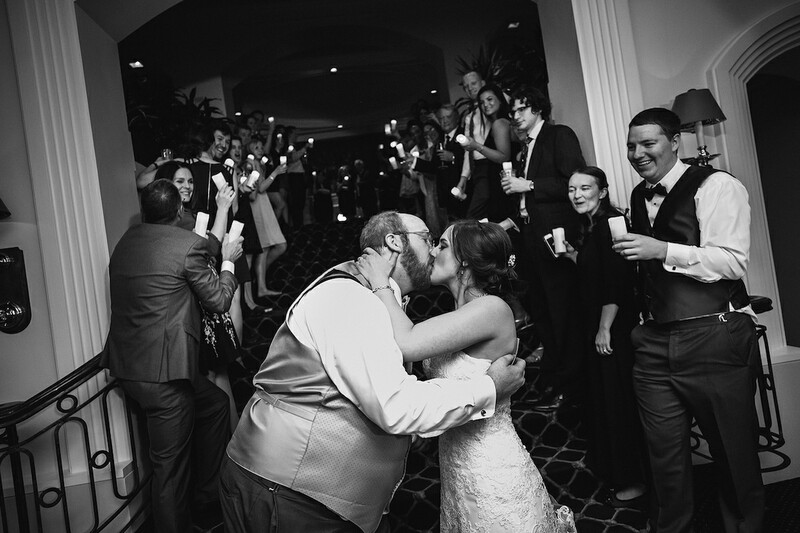 On behalf of the entire Five Grain Events team, congratulations and we wish you a lifetime of love and happiness!